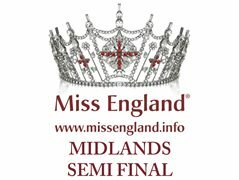 Enter one of our new Semi Final heats or one of the direct heats we are running to gain entry to the Miss England National Final in England 2019 . We are not just looking for a pretty face , but an all round role model who can go on and win the $100k prize in Miss World and the Ultimate crown. Semi Finals start May 31st. You will need a company to sponsor your place if selected by the judges to enter. For the semi finals you just need to enter on our website . If selected for the next stage you will be invited to one of the 4 semi finals which include a catwalk style event.